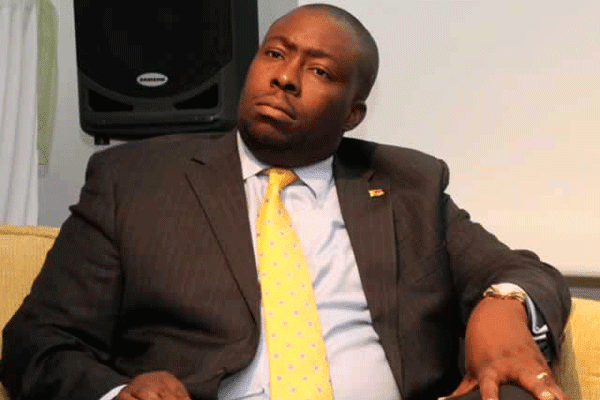 FORMER Zanu PF political commissar and Local Government minister Saviour Kasukuwere’s fallout with law enforcement agents continued to unfold with police detectives raiding his Harare mansion yesterday hunting for him. The raid, whose purpose could not be ascertained, came shortly after Kasukuwere was acquitted on “border jumping” charges. Kasukuwere, who is in South Africa, confirmed the raid which he said involved five officers from the Criminal Investigations Department (CID). “Yes, they were at my house. There were five officers from the CID who arrived at around 5am. They did not have a search warrant and were told I was not home. They went away only to return three hours later this time demanding to be allowed onto the property,” he said. Samukange said he was not aware of the police raid. “I am actually hearing it from you. We had agreed that if they wanted him for anything, they would call me first so I could bring him in. Maybe, it is because I have been busy with campaigns, that could be the reason they may not have been able to get hold of me,” the Zanu PF lawmaker said. CID spokesperson Portia Chinho referred questions national police spokesman Chief Superintendent Paul Nyathi who said he was out of Harare. “I am out of town and only back on Thursday. I have no information on that,” Nyathi said. Kasukuwere was part of a Zanu PF faction known as G40 reportedly then under the tutelage of former President Robert Mugabe’s wife Grace. The faction was until November last year locked in a bitter political tussle for control of Zanu PF before the military intervention that forced Mugabe to resign paving the way for Mnangagwa’s rise to power barely two weeks after he had been fired as Vice President. Along with his acolytes, then Higher Education minister Jonathan Moyo and Mugabe’s nephew Patrick Zhuwao who was then serving as Labour minister, Kasukuwere skipped the border into exile as the military closed in on them. However, the former Zanu PF national commissar made a dramatic return to the country two months ago, dragged to court on “border jumping” charges but later acquitted. The military intervention code named Operation Restore Legacy reportedly targeted “criminals around” Mugabe, who according to insiders included Kasukuwere, Moyo, Zhuwao and former First Lady Grace. Moyo and Zhuwao have accused Kasukuwere of “selling out” to President Emmerson Mnangagwa’s “military junta” government.